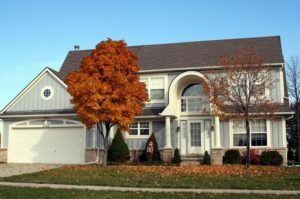 Foxfire is a family friendly Ann Arbor neighborhood, a large park with a playground is located in the center of this subdivision and many of the excellently crafted homes back to open or wooded areas. There are currently 4 homes listed for sale and so far this year, 10 have sold. $431,900. 3182 Otter Creek Ct., Ann Arbor. 2362 sq. ft., + 700 in finished lower level, 6 bedrooms and 3.1 baths. $319,000. 3198 Otter Creek Ct., Ann Arbor. 2032 square feet with 3 bedrooms and 2.1 baths. $460,000. 2345 Hickory Point Dr., Ann Arbor. 2940 sq. ft., + 900 in finished lower level, 4 bedrooms and 2.1 baths. $450,000. 3187 Otter Creek Ct., Ann Arbor. 2849 sq. ft., + 800 in finished lower level, 4 bedrooms and 2.1 baths. $443,400. 3122 Fairhaven Ct., Ann Arbor. 2438 sq. ft., + 800 in finished lower level, 4 bedrooms and 2.1 baths. $439,900. 2255 Woodhaven Ct., Ann Arbor. 2950 square feet with 4 bedrooms and 3.1 baths. $407,000. 3174 Redland Ct., Ann Arbor. 2518 square feet with 4 bedrooms and 2.1 baths. $370,000. 3206 Pine Bluff Ct., Ann Arbor. 2494 sq. ft., + 800 in finished lower level, 4 bedrooms and 2.1 baths. $369,900. 2984 S. Foxridge Ct., Ann Arbor. 1817 sq. ft., + 500 in finished lower level, 4 bedrooms and 2.1 baths. Last year at Foxfire, 10 homes sold with an average sale price of $391,638, and an average price per square foot of $157.00. The 10 homes sold this year have an ASP of $398,388, up slightly, and an A$/SF of $170.00, up 8%. To learn more about home values at Foxfire, contact the real estate specialists with The Bouma Group at (734)761-3060 or email info@bouma.com. View more Ann Arbor neighborhoods here!